The foundation of good cultivation is healthy soil and proper propagation material. 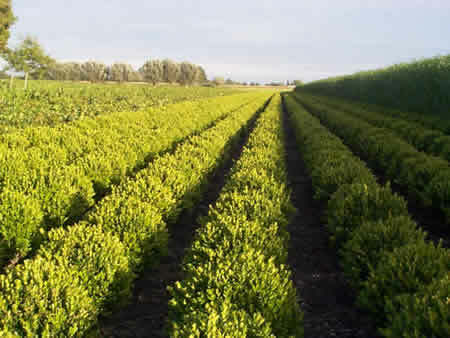 For tree nursery Liwardi, plants are grown at specialised nurseries and are planted in open field for 2 or 3 years. During this period the plants are regularly pruned and undercut. By using soil maps, measured with a soil scan, we can fertilize specifically targeted areas. This will maintain the organic matter content and soil life. 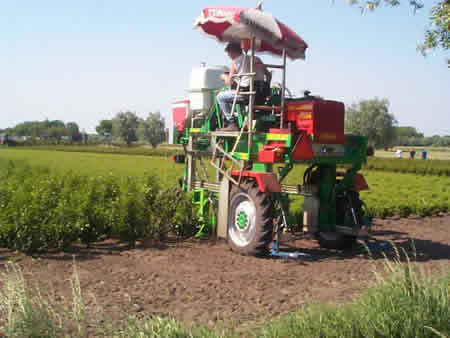 Cultivation activities as undercutting, fertilizing and hoeing are mostly done mechanically by using a high clearance tractor. This makes it that we can work eco-friendly and efficiently under good working conditions.